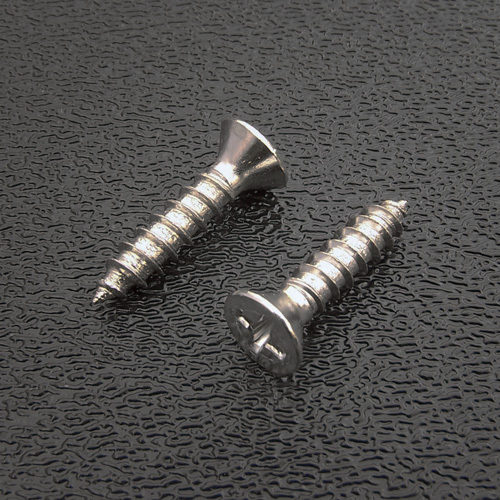 Fender® 70's style 3 bolt neck micro-tilt adjust disk mounting screws. For the '70s necks that used the 3 bolt neck mounting. These screws fasten the small circular "Tilt Disk" to the neck and the body. Each disk requires 2 screws to mount. #8 x 3/4". Sold in pairs (2 screws).